Taraji P. Henson is killing it in her career -- figuratively with Hidden Figures and Empire, and now literally, thanks to her starring turn in the upcoming Proud Mary. Joining the ranks of Charlize Theron in the upcoming Atomic Blonde, Gina Carano in Haywire, and Scarlett Johansson in Lucy and as Marvel's Black Widow, Henson certainly looks like she can hold her own in the new trailer for the film. Proud Mary is the latest from director Babak Najafi (who previously directed 2016's London Has Fallen) and stars Henson as a hit woman working for the Boston Mob who crosses paths with a young boy. His presence in her life awakens the mothering instincts the hired killer never knew she had -- for better and for worse. 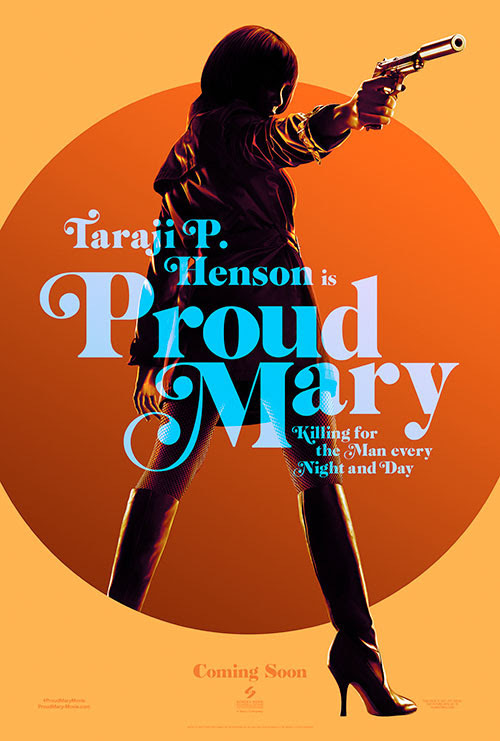 Proud Mary is slated for release on January 12, 2018, so we're going to have to wait a while to see Henson do the damn thing. Until then, we have this trailer, which you can watch below.